Curio Wellness is a trusted healthcare partner providing Maryland patients with an array of alternative healthcare offerings. 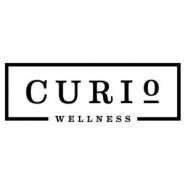 The Curio Wellness team partners with its patients as a trusted guide to reliable medical cannabis treatments and thorough healthcare education. Our 6,000 square foot flagship retail location is a wellness center and educational resource for Maryland’s medical cannabis program and the greater community offering an array of holistic health products & services as well as medical cannabis products. The Curio Wellness dispensary, home of Curio Wellness and Dixie Brands products, also carries a variety of products from other Maryland cultivators and processors. With patient education integral to the brand, the large onsite classroom will host health-related workshops, seminars, and support groups in addition to yoga classes. Complementary to our focus on integrative health, we offer a variety of healthy living products and services to the public, including acupuncture, massage therapy, a holistic pharmacy with professional-grade vitamins and supplements, as well as natural health and beauty products. Combining these wellness and education services with the medical cannabis dispensary is a concept unique to Curio Wellness, and supports the company’s goal of providing patients with a well-rounded alternative medicine experience. Brian Sanderoff, a licensed pharmacist and alumnus of University of Maryland School of Pharmacy, manages the Curio Wellness dispensary. He has over 20 years of experience in integrating his pharmaceutical expertise with herbalism, nutrition, and other alternative health practices. Sanderoff previously owned and operated a holistic pharmacy in Owings Mills, and was the host of a popular radio show about alternative medicine for over 17 years. Sanderoff will use his proficiency in pharmaceutical and holistic medicine to give Curio Wellness’ patients a complete wellness experience.